She might look like she’s in her own world when she plays her bass, eyes closed and sometimes with her back turned to the audience. But Kathi Wilcox, formerly of feminist punk band Bikini Kill and now rocking in the Julie Ruin, is an observer. She sees the mouths of young girls gaping at her sister in arms, Kathleen Hanna. She sees the bewilderment. The bassist said chuckling that she, too, receives the stunned treatment from the club crowds. But she’s aware of the significance of her once again sharing the stage with Hanna. The pair made up half of one of the most important punk bands of the 1990s, and Bikini Kill’s demise around 1997 was a notoriously rough one. After enduring sexism from the media and general naysayers, Wilcox noted that putting that band to bed was a relief for her. She said that being so entwined with the activism behind the music made her lose some of her identity. The taunts and threats of violence were too real. In the interim, she worked at the Washington Post as an editorial assistant for the entertainment section and indeed walked dogs. She and husband Guy Picciotto of Fugazi had a daughter and kept a low profile. Wilcox did explore a one-off, no-pressure project called the Casual Dots, but it was the Julie Ruin that roped her back into music full time about three years ago. TJR shares a name with Hanna’s 1998 solo record, and this incarnation does perform a couple tracks off that release. But this version is a truly collaborative effort and quite the democracy. In addition to Hanna and Wilcox, the Julie Ruin features vocals and synths by Kenny Mellman (from iconic drag group Kiki and Herb), guitars by Sara Landeau and drums courtesy of Carmine Covelli. Run Fastcame out in September 2013, causing a frenzied renewal of interest in riot grrrl, Bikini Kill and Hanna herself. The documentary The Punk Singer follows Hanna’s battle against misogyny and later a debilitating fight with Lyme disease. 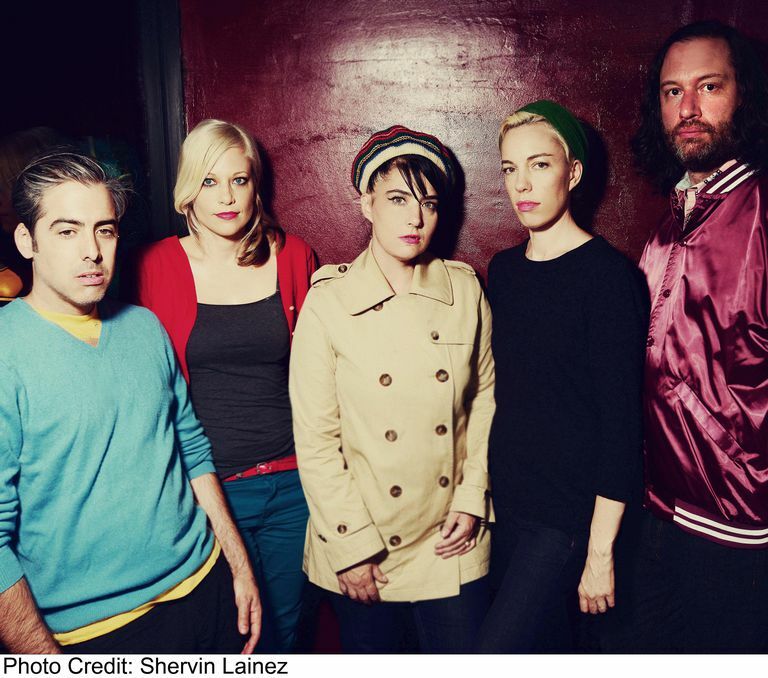 The Julie Ruin is a forward-thinking unit, but Hanna and Wilcox have also been busy retracing their Bikini Kill footsteps. Along with BK drummer Tobi Vail, they’ve been plundering their old recordings and re-releasing them independently. Wilcox said the process has been very time consuming but rewarding. The bassist was quick to curtail any rumors that Bikini Kill would be reuniting (guitarist Billy Karren keeps in touch by email but isn’t heavily involved in the re-releases). She personally wouldn’t rule it out, but the effervescent tunes of the Julie Ruin are more her thing now. She gets it— she recalled seeing the Stooges in 1999 or 2000, hoping to hear classics off Fun House and bracing for newer material nobody cared for. But the Julie Ruin needn’t worry about people taking bathroom breaks during the fresh tunes. All of the numbers off Run Fast are raucous, modern disco-punk delicacies. Each member brings a splash of his or her personality to the bunch. And as for Wilcox’s enduring partnership with Hanna, the bass player says it’s improved with age. The Julie Ruin entered the studio in August 2015 with Eli Crews (Lorde, tUnE-yArDs) to work on a followup to Run Fast.